This park, built to portray and preserve Wisconsin's beginnings, is located on a site that is itself a part of history. On this 40-acre site stood Camp Smith--a temporary location of Fort Howard--part of the pioneer settlement known as Shantytown, and Wisconsin's first courthouse. 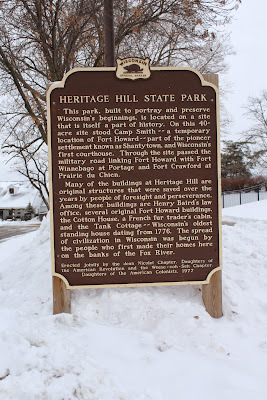 Through the site passed the military road linking Fort Howard with Fort Winnebago at Portage and Fort Crawford at Prairie du Chien. Many of the buildings at Heritage Hill are original structures that were saved over the years by people of foresight and perseverance. 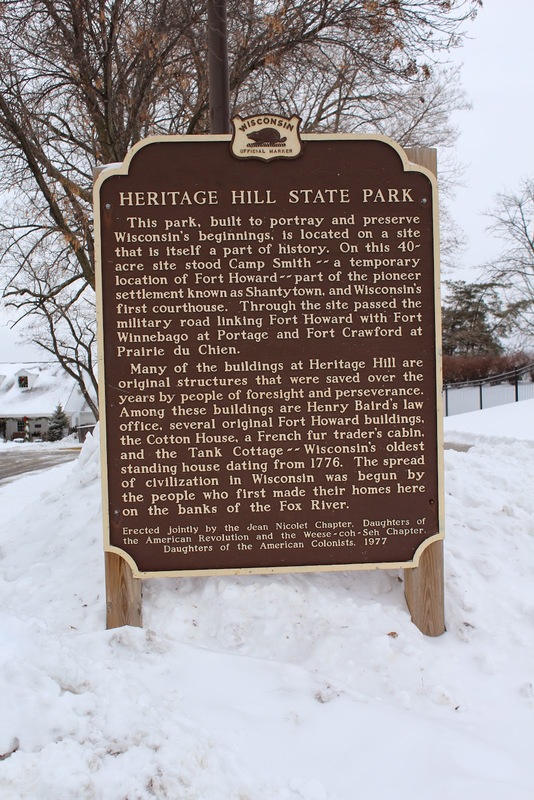 Among these buildings are Henry Baird's law office, several original Fort Howard buildings, the Cotton House, a French fur trader's cabin, and the Tank Cottage--Wisconsin's oldest standing house dating from 1776. The spread of civilization in Wisconsin was begun by the people who first made their homes here on the banks of the Fox River. 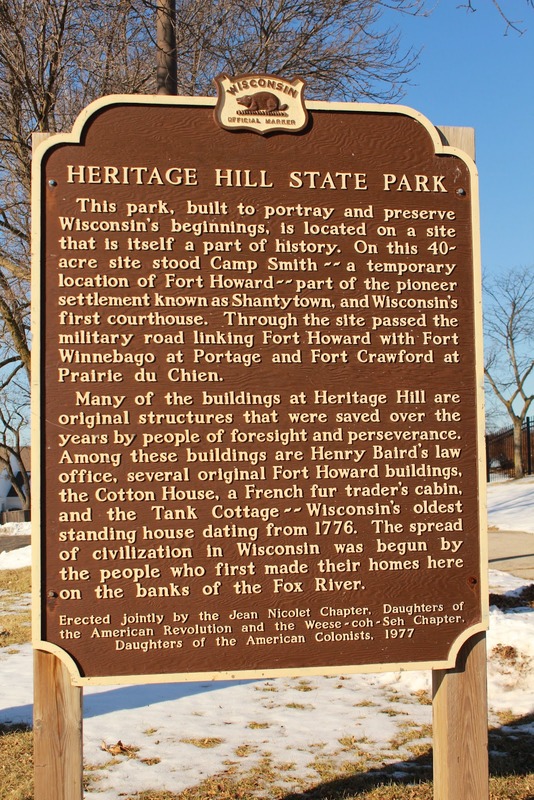 The marker is located on southbound South Webster Avenue, in the parking lot at the entrance to Heritage Hill State Historical Park, at 2640 South Webster Avenue, Allouez / Green Bay, Wisconsin 54301. There are many markers / sites at this location; use the "Heritage Hill State Historic Park" label below to identify them all. With the Welcome Center in the background. The marker is located at Heritage Hill State Park. The Welcome Center at Heritage Hill State Park. A winter view of the marker.